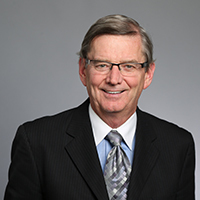 Paul Reilly has been in the industry for over 30 years and for the last nine years has been providing investment banking and financial advisory services for sellers and buyers, valuation services, financing and refinancing efforts, turnaround and restructuring services, and temporary/interim management consulting. Engagements have included packaging, label, commercial printing, direct mail, web-to-print, digital printing, envelope manufacturing and graphic art supplier clients. Reilly frequently speaks at industry conferences on leading, managing and M&A trends in the graphic communications industry. Previously, Paul was CEO, President and Chairman of Cenveo, Inc. (NYSE:CVO), one of North America’s leading graphic communications firms. During his ten years at Cenveo, the firm grew from $17 million to over $2 billion in sales while completing some 60 acquisitions, numerous capital raisings, and created over 17% CAGR in shareholder returns. Paul is the Founding Chairman of the Print Council, a business development alliance founded to promote the greater use of print media. Paul currently serves on the boards of Soft Print, a workflow software firm, Forces First, a provider of insurance products to European military personnel and CSG Solutions, a provider of outsourcing services. Paul has a BBA in Finance and an MBA in Computer Methodology from Baruch College. Born and raised in Queens, New York, Paul now resides in Colorado and Florida with his wife of 40 years, Patty. They have three grown children and three grandchildren. His interests include skiing, mountain climbing, mountain biking, sailing and golfing. Paul can be reached via phone at (610) 230-0635 ext. 702 or via email at preilly@newdirectionpartners.com.